Ángel Delgado graduated from the Elementary School of Visual Arts (1979) and the San Alejandro School of Fine Arts (1984), both in Havana. From 1984 to 1986 he studied at the Superior Institute of Art in Havana. His most recent solo exhibitions include Constancy, at Amanda Harris Gallery in Las Vegas, Nevada, 2014; Uncomfortable Landscapes at Nina Menocal Gallery in Mexico City, Mexico, 2013; Inside Outside at Jonathan Ferrara Gallery in New Orleans, Louisiana, 2011; Continuous Limit at Couturier Gallery in Los Angeles, California, 2009; Wake Up at Artane Gallery, Istanbul, Turkey, 2006; and Memorias Acumuladas (Accumulated Memories) at Fúcares Gallery in Madrid, Spain, 2004. In addition to his artistic practice, Delgado has curated numerous exhibitions and is founder and director of CLOSE UP International Video Art Festival. 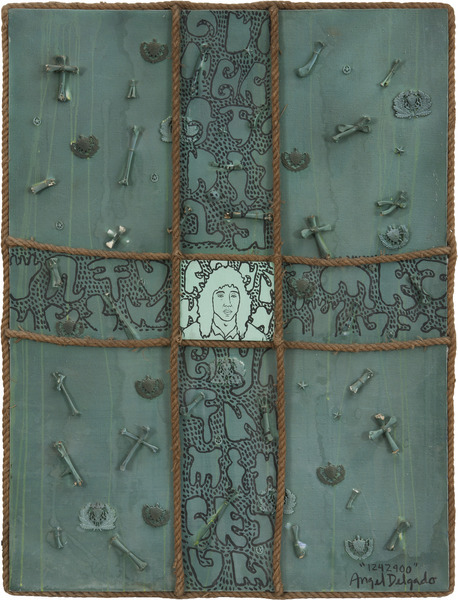 In 2004, Delgado was an artist-in-residence at The Mattress Factory in Pittsburgh, Pennsylvania; and in 2008 he received the MOLAA’08 Award for Sculpture and Three-Dimensional work, organized by the Museum of Latin American Art in Long Beach, California. 1242900, 1995. Oil, rope, animal bones and found objects on canvas, 47 1/4 x 37 3/8 in. 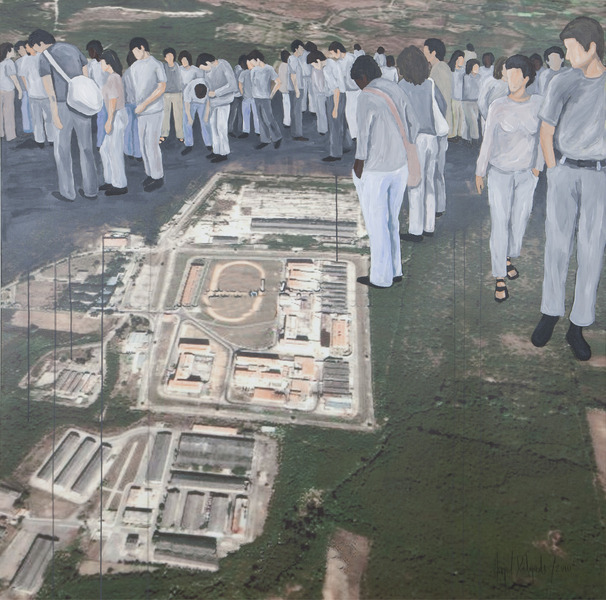 Paisaje Incómodo I (Uncomfortable Landscape I), 2010. Acrylic on printed canvas, 55 x 55 in. 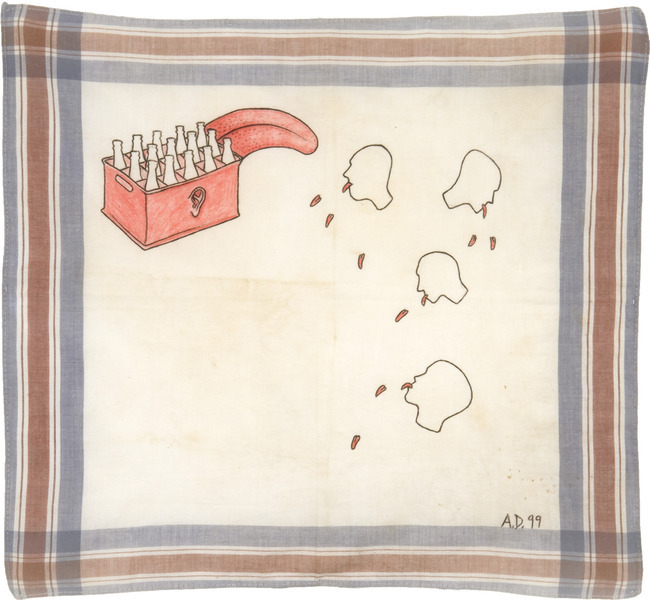 Sin título, de la serie Pañuelos (Untitled, from the series Handkerchiefs), 2000. Ink on fabric handkerchief, 17 1/4 x 14 1/2 in. 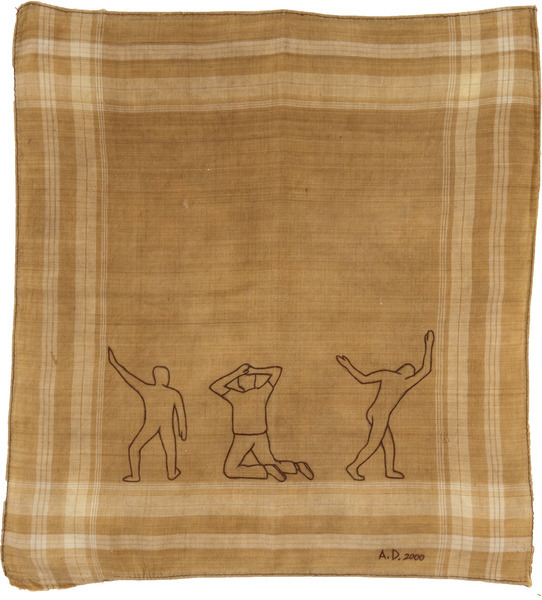 Sin título, de la serie Pañuelos (Untitled, from the series Handkerchiefs), 2000. Ink on fabric handkerchief, 14 x 15 in. 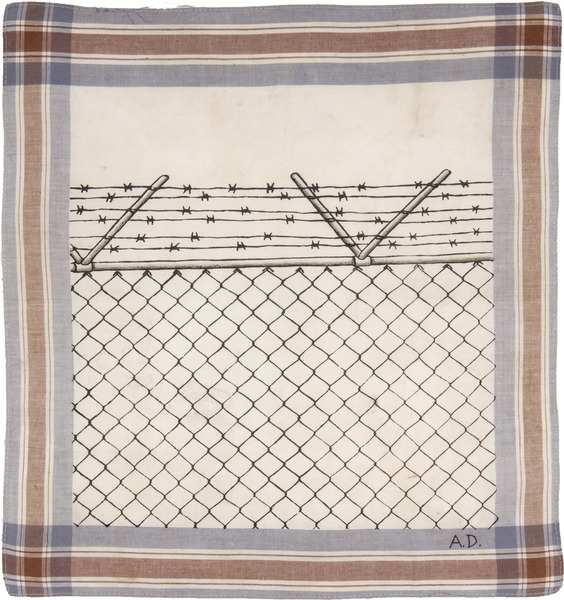 Sin título, de la serie Pañuelos (Untitled, from the series Handkerchiefs), 2000. Colored pencil and cold cream on fabric handkerchief, 15 x 14 in. 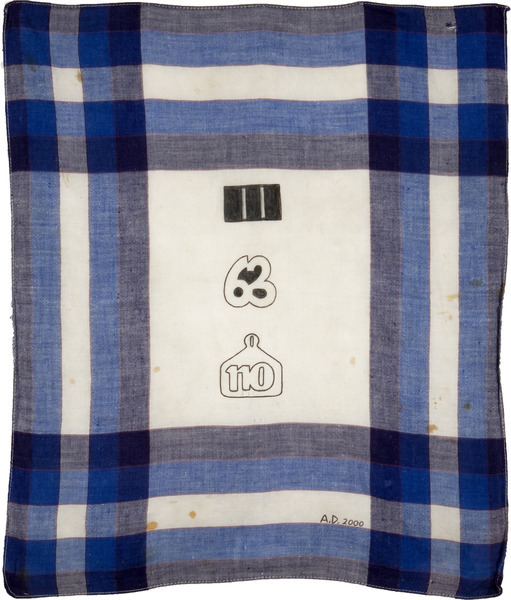 Sin título, de la serie Pañuelos (Untitled, from the series Handkerchiefs), 1999. Colored pencil and cold cream on fabric handkerchief, 17 1/2 x 18 1/2 in.